This classroom form is helpful for 2rd grade english learners to review their own knowledges until this moment. 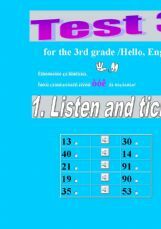 This classroom form is helpful for 3rd grade english learners to review their own knowledges until this moment. 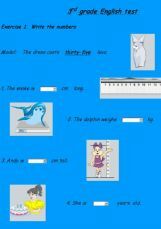 This is a cloze test where you have to fill in the blanks using clues. Good Luck!!!!!!!!!!!!!! 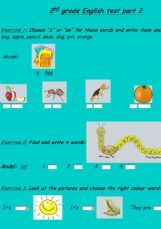 Practise test Year 1 Unit 1. 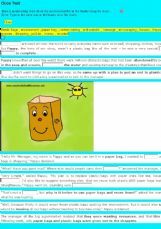 Story club is a text book for ESL 5th graders in Israel. This is an excercise to sum up the vocabulary from Unit 1 - Getting Ready and some other enrichments. This is a review designed to help my students study for the test that accompanies Units 9 and 10 in the textbook New Interchange 3.